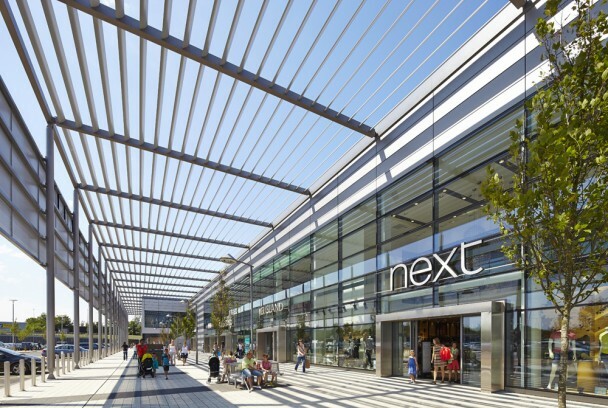 The MK1 Shopping Park development is located to the west of the existing MK Stadium and is a major enabling component of the overall masterplan for the site. 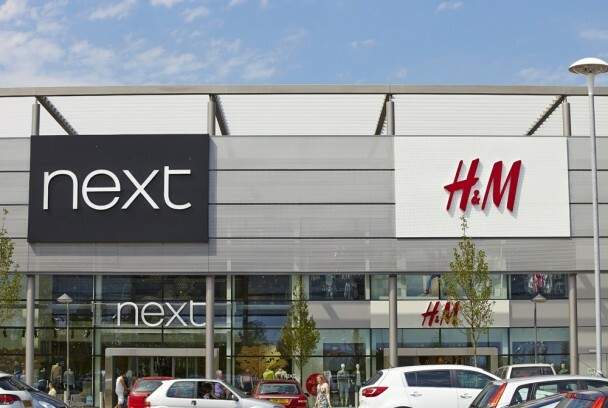 The building has been designed to have prominent and visible retail frontages for its end users to Grafton Street and the main stadium approach avenue, but encloses and screens the service areas to the north and west by utilising and remodelling the ground form. 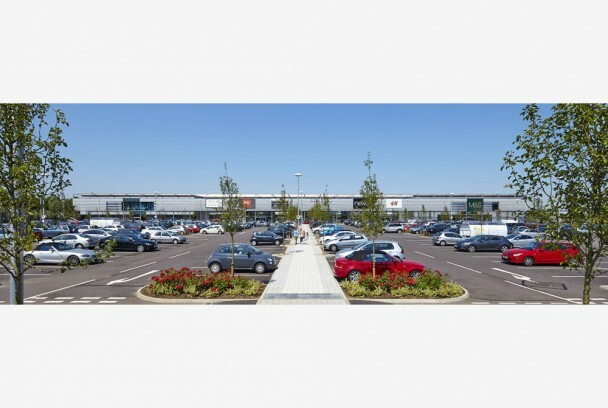 The building provides up to a total of 235,000 sq ft of retail floor space, and a total of 600 car parking spaces. 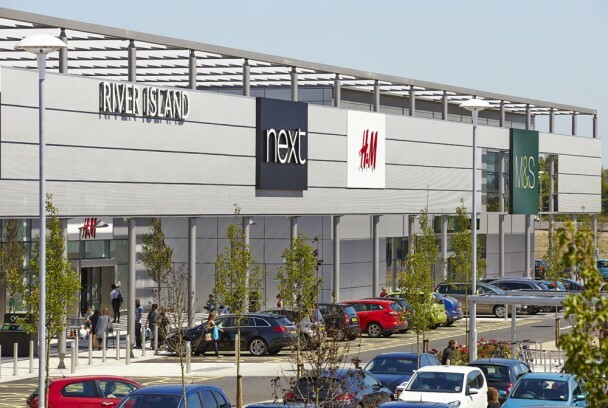 There are 8 varying unit sizes within the building which are tailored internally to match specific end user requirements, these include M&S, Primark, Arcadia Group, and River Island. The main stadium frontage of the building is emphasised by a wide “colonnade” zone which links the main entrances of the building. 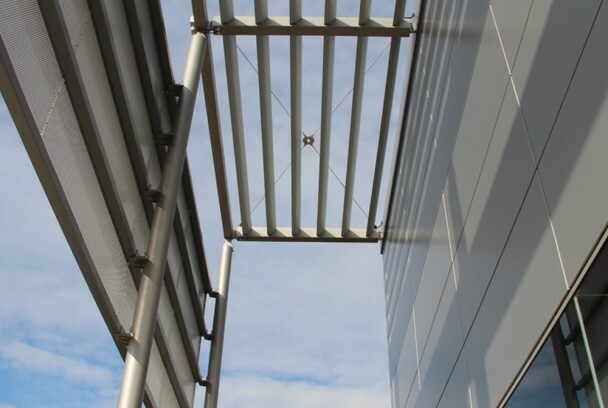 The central section of the building is set back further to provide emphasis and places for seating, cycle parking, and feature tree planting. 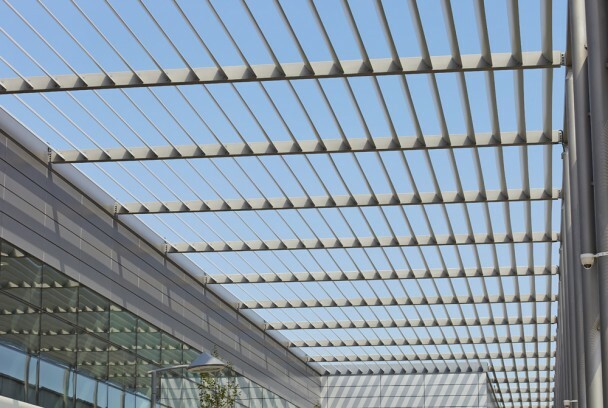 The colonnade also provides the framework for “brise soleil” elements to give solar shading to the south facing elevations. Emphasis is given at night by special feature lighting to the colonnade zone providing a suitable night time landmark and advertising for the end users. 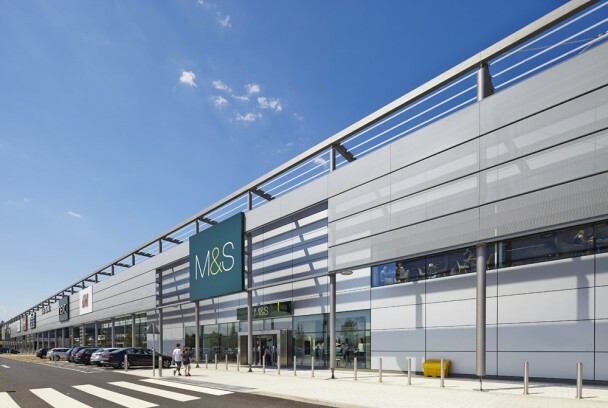 The building achieves BREEAM Excellent.